A diet that is high in sugar may affect more than physical health. There is evidence that sugar also affects behavior. This is especially true in children because they often have a higher sensitivity to sugar than adults do, according to noted children’s health expert, Dr. William Sears. In those especially prone to sugar sensitivity, the behavioral issues may be even more pronounced. According to a report in the “Journal of Abnormal Child Psychology,” a 1986 study took a look at the effects of sucrose on preschool children. Researchers discovered that in all subjects, there was a decrease in learning performance after children were given a sugary drink. This was most notable within 45 to 60 minutes following ingestion of the sugar. These findings seem to suggest that learning performance may be affected by the dietary intake of sugar. 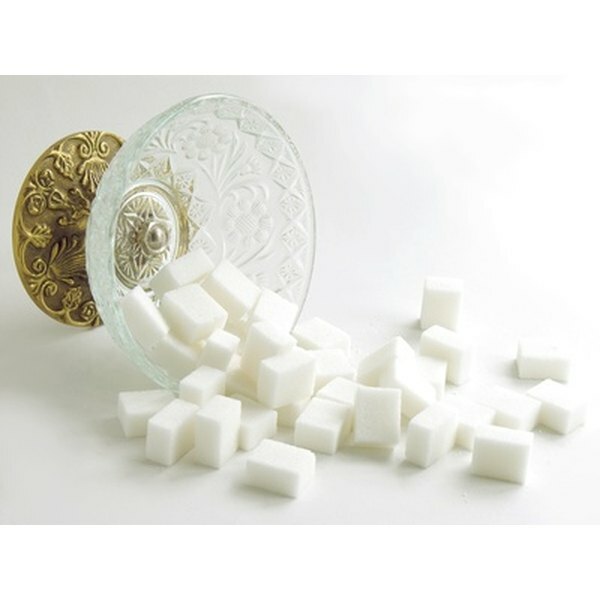 Medline Plus reports that sugar may be linked to increased levels of activity. This is because sugar—a simple carbohydrate--is a readily available fuel source that enters the blood quickly after ingestion, triggering a rush of adrenaline. It is this rush of adrenaline that most likely leads to hyperactive behavior following dietary sugar intake. Introducing sugar early in life can be a problem. Feeding children a diet high in sugar can alter their behavior by influencing the food choices that they make throughout their lives. According to Dr. William Sears, when sugar is introduced early in life, children may develop a taste for sweetness that leads to a lifetime of selecting sweeter, sugar-laden foods over healthier choices. This can lead to a lifetime of poor food choices, which in turn may cause diet-related health problems like type 2 diabetes and obesity. Excessive sugar intake has been linked to ADHD; however, most of the evidence to support this is anecdotal evidence related by parents who observe their children’s behavior following sugar ingestion. According to ADHD expert Dr. Anthony Kane, clinical studies have repeatedly refuted sugar’s role in ADHD, and it is unlikely that sugar causes ADHD. It may, however, exacerbate many of the symptoms of ADHD, such as inattention and hyperactivity in children who have the condition. Ask Dr. Sears Family Nutrition: Sugar; William Sears M.D. ADHD Advances: The Role of Sugar in ADHD; Anthony Kane, M.D. What Are the Benefits of Rock Sugar?